Alasdair Fraser has long been regarded as Scotland’s premier fiddle ambassador. 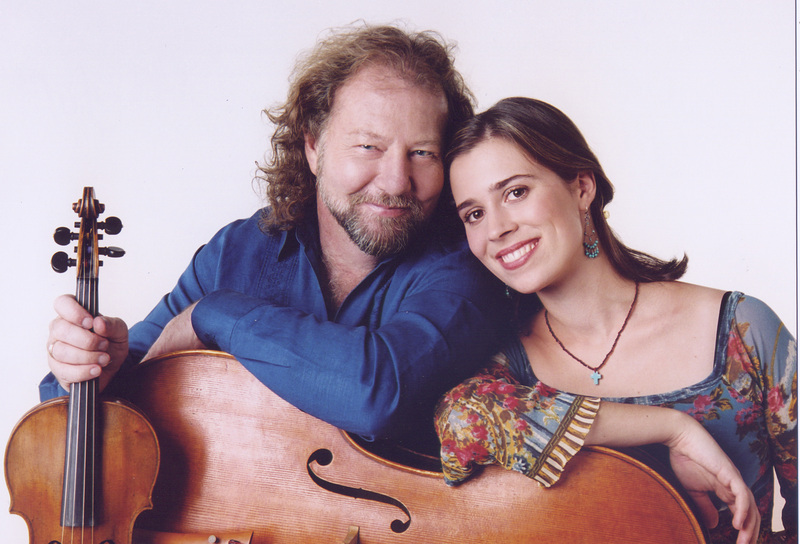 Natalie Haas has been described as a “sizzlingly-talented young Californian cellist.” The two of them join forces to produce a repertoire that spans the full spectrum between intimate chamber music and ecstatic dance energy. 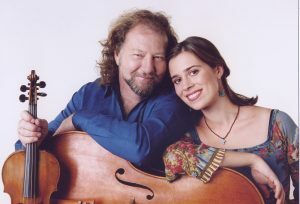 You will certainly want to come tap your toes and sway along when Pend Oreille Arts Council brings this duo to the Panida on Wednesday, Feb. 8, at 7 p.m.
Fraser and Haas have toured internationally for over 17 years, wowing audiences at festivals and concerts worldwide with their unique sound. They have released four critically acclaimed and award-winning albums along the way. “They continue to thrill audiences with their virtuosic playing, their near-telepathic understanding and the joyful spontaneity and sheer physical presence of the music,” a review on their website says. Fraser has been performing and recording for over 30 years and sports a long list of awards, accolades, radio and television credits and performances on top film soundtracks such as “Last of the Mohicans” and “Titanic.” In 2011 he was inducted into the Scottish Traditional Music Hall of Fame. A graduate of Juilliard School of Music, Haas is one of the most sought-after cellists in traditional music today. She’s worked with a who’s who of the fiddle world, and her debut recording with Fraser, Fire & Grace, won the coveted Scots Trad Music Album of the Year award, the Scottish equivalent of a Grammy. Cost to attend is $25 for adults, $16 for POAC Supporters, and $10 for those 18 and under. Tickets are available at POAC Office and Gallery, Eve’s Leaves, Eichardt’s, Winter Ridge or online at www.artinsandpoint.org. For more information call 263-6139. This performance is generously sponsored by Idaho Pour Authority, Bonner County Daily Bee, National Endowment for the Arts, Idaho Commision on the Arts and Idaho Community Foundation.